Here's a fun and crafty way to jumpstart the holidays. We will be creating star mint ornaments. To join in on the fun please email Diane at dwcarr@comcast.net for more information and directions. Join us in a Carol or two at Ambassador Nursing Home in New Hope. We'll sing 5 or so songs in the lunch room and then we'll walk the halls singing so everyone can enjoy the music. Bring your family and friends - the more the merrier! To RSVP or for more information please contact Pam at pammedvec@msn.com. Join us for a Holiday potluck starting at 6:30 pm at Holy Nativity Lutheran Church in New Hope - 3900 Winnetka Ave North. Our meetings typically end between 8:30 pm and 9:00 pm. Fellowship, Fun, and a Few NHWT Facts to Follow the Food. Wear a fun holiday sweater and bring a dish or treat to share. 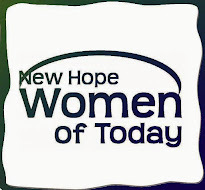 For more information contact Anna at membership@newhopewt.org. We hope to see you there! Open to members only! My personal favorite event of the year. Don’t fear you won’t have to bake hundreds of cookies! Last year, we had 12 participants. Each person brought 72 cookies (of one type) and went home with ½ dozen each of 12 different kinds. There will be drinks, appetizers, and holiday fun.Wear a Santa hat or your favorite holiday sweater. We will have Holiday treats to share afterwards.